At St Joseph’s RCVA Primary we are committed to equality. We aim for every pupil to fulfil their potential no matter what their needs. Our School is committed to anti-discriminatory practice to promote equality of opportunity and valuing diversity for all children and families. We ensure that disabled pupils have access to curriculum, environment and information. We make adaptions where necessary to the environment and ensure all children have access to breakfast clubs, educational visits etc. 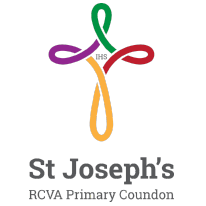 St.Joseph’s RCVA Primary School prides itself in being very inclusive and will endeavour to support every child regardless of their level of need. All pupils follow the National Curriculum at a level and a pace that is appropriate to their abilities. At times and when it is felt appropriate, modifications to the curriculum may be implemented.